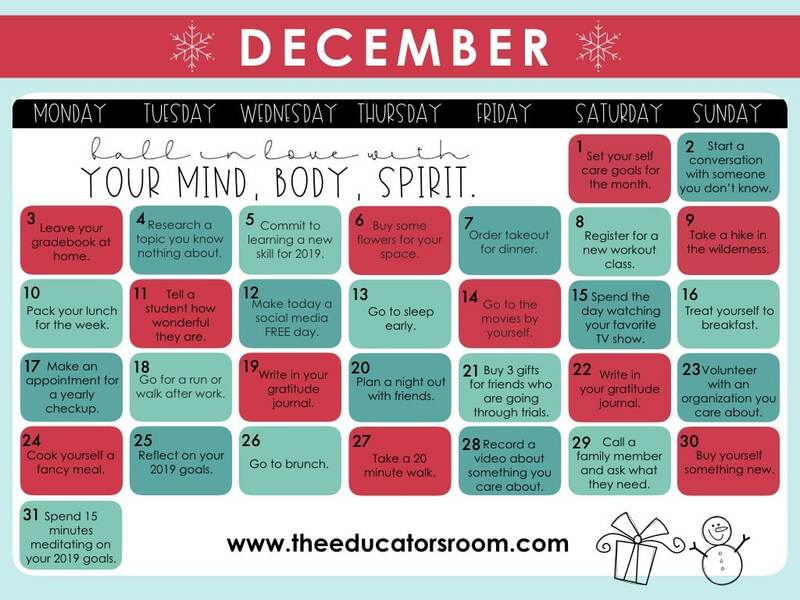 Download our December Calendar for teachers to practice Self-Care all month long! Stay tuned for our 12-month calendar being released January 1st! To be the first to know when they’re released, please click here to sign up. I am extremely grateful for this calendar, Just a quick note, the word “spirt” is spelled incorrectly. Sorry, I tried to email someone instead of placing the comment on a public forum. (The web page where I was able to leave a personal comment was not working.) Thank you again for this calendar.